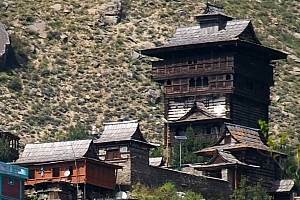 Kalpa is a small village at a height of 2960 meter in Kinnaur district of Himachal Pradesh. 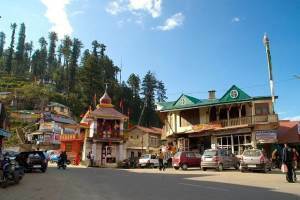 This place is at a distance of 230 Km from Shimla and at 13 Km from Reckong-Peo the district headquarter of Kinnaur district. This place is well connected by road only. 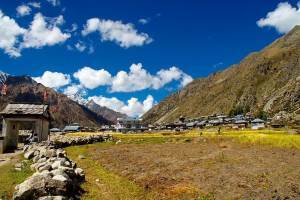 It is recommended to stay minimum of two nights at Kalpa. Usually tourists arrive late afternoon from distance places like Simla , Sarahan or Sangla so next day stay can give you full day beauty of the majestic Kinner Kailash hills. From Kalpa we can get views of three peaks Roldang 5499 meter, Jarkanden ( 6473 meter ) and the Kinnaur Kailash at 6050 meter height. 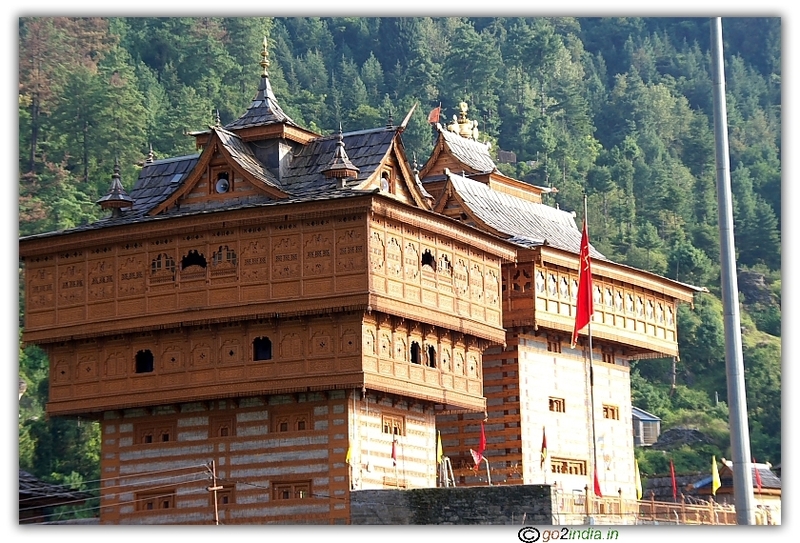 Kalpa is a small village with almost all facilities like post office, hospital, shops and small restaurants. These restaurants are offering Indian and Chinese foods for the tourists. There are many small guest houses inside the village offering rooms. Main attraction is Narayan-Nagini temple and Hu-Bu-Lan-Kar monastery. This monastery was founded by Rinchensang-po ( 950-1055 AD ). Walk along the narrow lanes of this village upto the temple and you will get a good glimpse of Kinnaur culture and its colorful villagers. 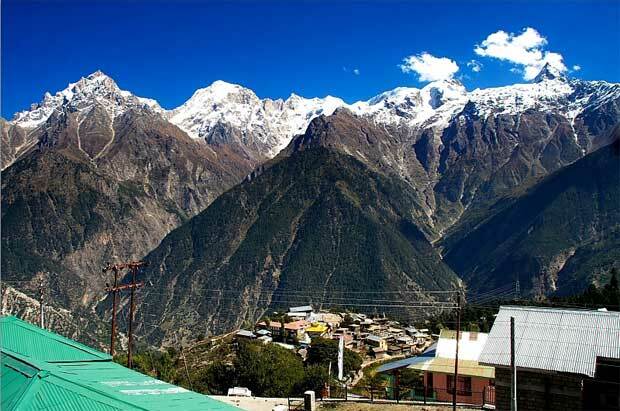 Village is surrounded by apple trees and at one side the view of snow peaks makes this village the main attraction of tourists coming to Kalpa. From your hotel you have to use steps to reach the village but take care that you have to climb up again to return. So conserve your energy. The steps pass through apple garden and reach the village. If you are scared of climbing up then you can use your vehicle as road is there up to the village end. As Sun rises from behind the Jorkanden Peak so photography of hills during morning time is not possible , however you can take photos as the sun comes out of the peaks and light falls on the valley. Around 11 AM as the sun climbs up and direct sun light starts falling on the peaks and gives beautiful view for the tourists to capture in their cameras. Suicide Point Within 10 minutes drive from Kalpa village through apple gardens this place is known for its vertical slope and dangers ditch. Roghi Village Beyond Suicide point after 5 minutes drive there is Roghi village. Like other village this village has also one temple and apple gardens are there surround the village. Here also villagers main business is Apple cultivation. 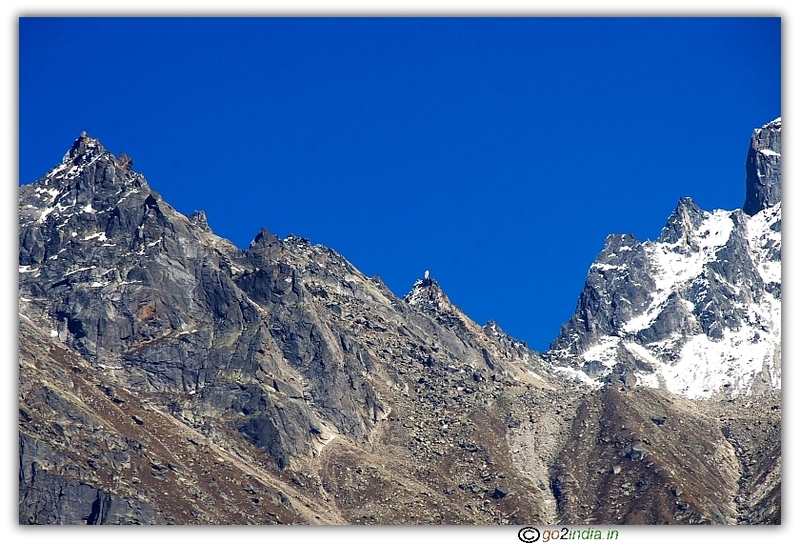 The road to Kalpa is on NH 22 (from Shimla ) up to Reckong Peo except last 27 KM. Most of the time Sutlej river will be at your left side and the road passes through many hydroelectric projects and dams under construction. After 45 minutes from Zeori we enter into Kinner district. On the way we crossed Tapri town and the reached Reockong Peo the district headquarter of Kinnaur district. 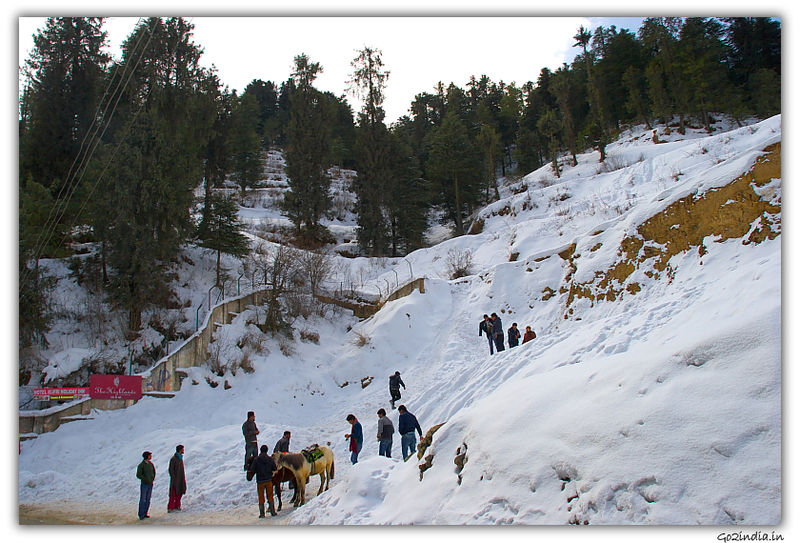 The best hotel to stay is Himachal Tourism Development Corporation Hotel. The name is Hotel Kinner Kailash. You need to book in advance to get accommodation here. There are different ranges of rooms available here starting from 1000 to Rs 4000. 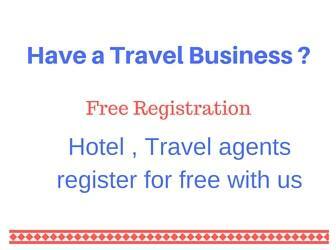 The number of rooms are very less so you need to book in advance through internet or by calling HPTDC office by phone. For detail HPTDC hotel booking procedure read here This beautifully designed hotel has glass windows opening towards Kinner Kailash snow peaks, the restaurant located at second floor offers panoramic view of surrounding hills and valleys. This hotel closes during October -November and reopens in April month because of snowfall. 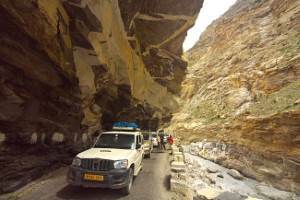 The district headquarter shifted to Reckong Peo as road to Kalpa gets blocked due to snowfall in winter. Good guidelines received. 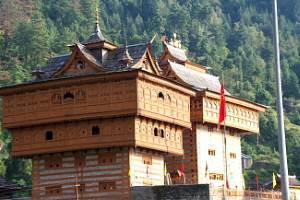 I will be reaching Kalpa by 3rd or 4th October 2015 with wife and daughter (3 Adults). 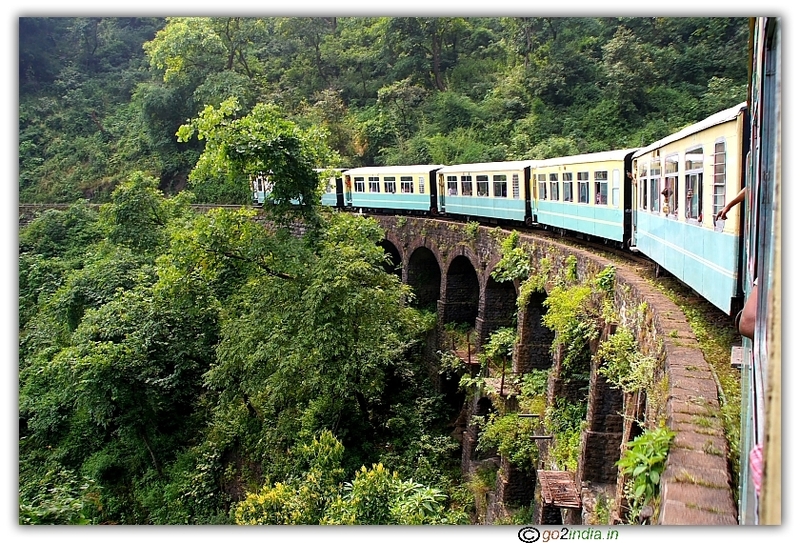 Starting from Shimla to Sarahan - Sangla - kalpa - Kullu - Manali and Jwalamukhi temple and back to Delhi by 11 October 2015. I need accurate travel plane and guidelines with shortest route.